We shouldn’t just put up with arthritis. Find out how you can push back and defy arthritis together. 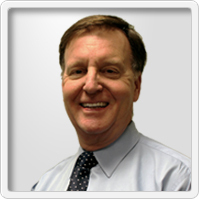 Dr. Paul F Howard, MD is a Doctor primarily located in Scottsdale, AZ with over 39 years of experience on how to manage and treat Rheumatoid Arthritis. He has repeatedly been voted “Top Doc” for 14 years in rheumatology by his medical peers. Sign me up to hear from Arthritis Health about future, services, events and special insider-only information.